A1 Drains have been solving Drainage and Plumbing problems for over 30 years and is a family run specialist drainage company. The passion we have when it comes to un-blocking & cleaning drains often exceeds what would be considered to be normal practice with many other drainage companies If a problem cannot be dealt with by our technical operatives, then in our opinion it would be doubtful if it could be resolved by anyone else! Our company policy from the onset has been to offer to all of our customers an easy to understand fixed rate of charge with absolutely no hidden extras. We make no additional charge’s for the specialist equipment we may use to unblock or clean your drains Our highly skilled operatives provide you with a progress report at every stage of the works. No job is beyond our scope and expertise, we keep you informed throughout any works and provide advice on what is causing the problem – Where the problem is – how can this be avoided in the future. 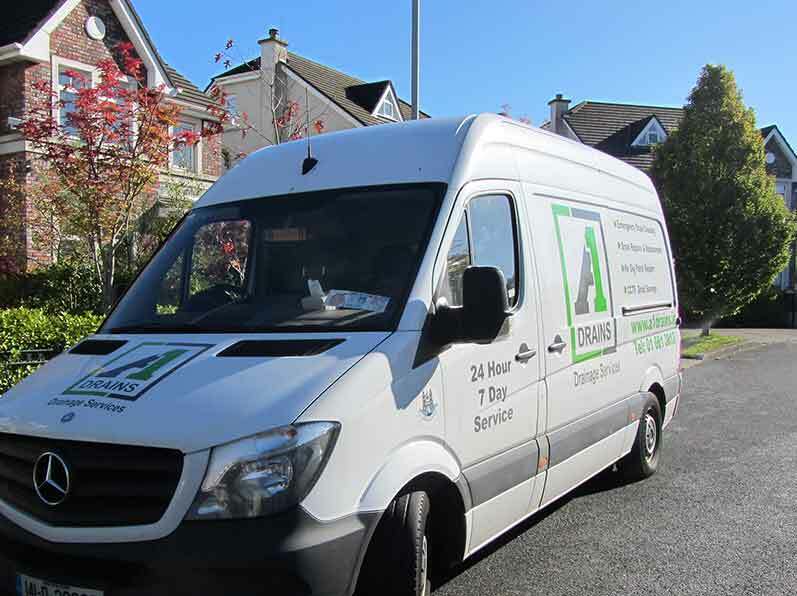 All of our service vehicles operating within the Dublin area are manned by family members and each of our engineers has a minimum of 30 years experience. To book an emergency call out or to seek free advice from our technical team of drain engineers, For an immediate and guaranteed response to any drain related problem you may have in the Dublin area. A1 Drains friendly and experienced team provide no-obligation quotations.